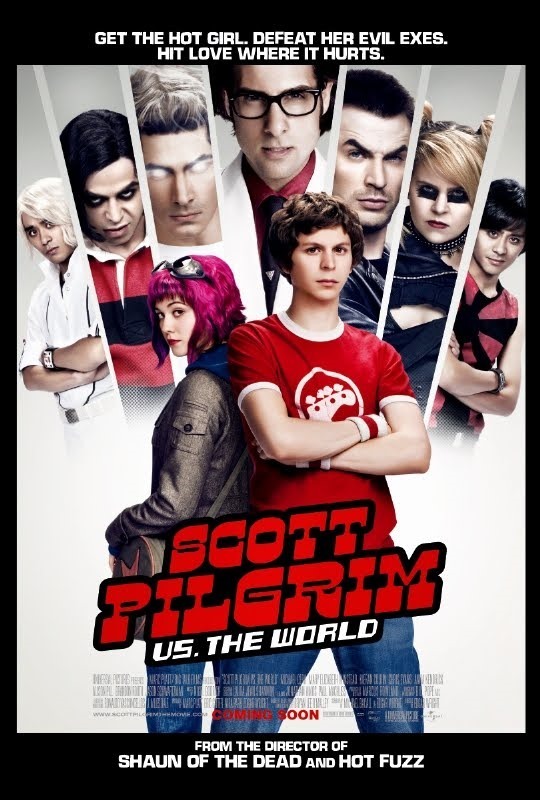 Here is the official trailer for the Movie "Scott Pilgrim Vs. The World"
Here are some movie clips from "Scott Pillgrim Vs The World"
Scott (Michael Cera) has an awkward moment with Knives (Ellen Wong). Ramona (Mary Elizabeth Winstead) warns Scott (Michael Cera) about the perils of dating her. Wallace (Kieran Culkin) gives Scott (Michael Cera) some love advice. Scott (Michael Cera) is threatened by Todd Ingram (Brandon Routh). Scott (Michael Cera) has a distressing phone call with Gideon Gordon Graves (Jason Schwartzman).